What happens if someone accidentally mis-addresses an email with proprietary information and sends it to you, Brad Anderson asked attendees Monday. In this case, the Brad Anderson in question was a Microsoft corporate vice president. But that information could have been emailed to Brad Anderson, the former president of Dell’s Enterprise Solutions Group, with disastrous consequences. To solve that problem, Microsoft executives showed off a future where mobile applications, including Microsoft’s latest Office for iPad, will be managed using a series of “wrappers” Microsoft plans to make available later this year. At its annual TechEd conference on Monday, Microsoft showed off a number of capabilities, most aimed at harnessing the power of its Azure cloud services. Among those: a fresh look at the “Oslo” tool, which organizes information in a way that can be relevant to you. Those enhancements also include improved encryption for business customers. Beginning in July, Microsoft said, files stored within SharePoint Online and OneDrive for Business will be encrypted with their own key for highly secure content storage. They will be paired with Data Loss Prevention, the official name of the tool Microsoft uses to ensure confidential information doesn’t cross corporate boundaries. 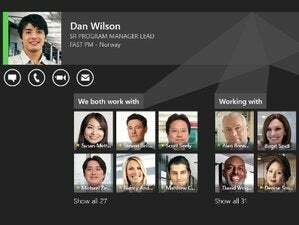 DLP was first added to Exchange 2013 and began being rolled out to Office 365 customers earlier this year, including the Outlook Web App (OWA). Now, that capability is being added to the Office apps themselves, including the new Office for iPad. Microsoft confirmed that the Office for iPad apps have been downloaded 27 million times since the launch. But Anderson also said that the company will be publishing a set of application containers and wrappers that will help prevent data from leaking out of internal applications, too. 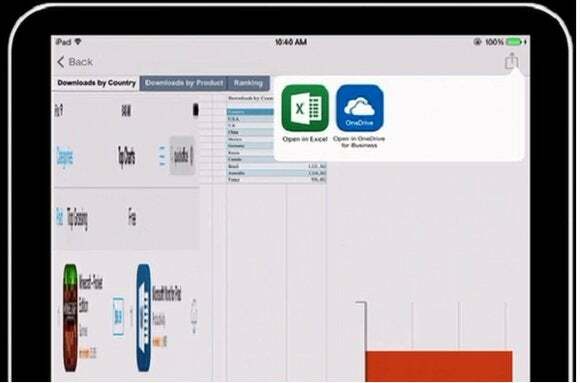 Julia White, the general manager of the Office business, showed off how a corporate spreadsheet opened on the iPad would automatically trigger the appropriate Office for iPad app—and, how, under corporate management, only certain actions could be taken. That included the app blocking a table being pasted into an email if corporate policy disallowed it. It’s all a capability of Microsoft’s Enterprise Mobility Suite, an extension of Microsoft’s Intune technology. Mobile app management may be an enterprise capability, but it will have an effect on the average worker. 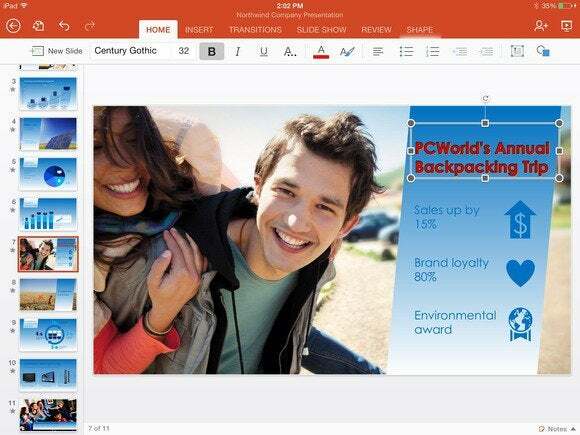 Businesses that have bought into Microsoft’s vision will soon see Office capabilities locked down further, especially on the mobile front. Updated at 4:36 PM with additional details on the number of Office for iPad downloads.